Open any magazine and you will see hundreds of adverts selling miracle products for younger skin, healthier and shinier hair and perfect tans. But their promises usually come with hefty price tags. What if we told you healthy skin and hair was closer than you think and more affordable than you thought imaginable? We’re talking about Mother Nature’s finest ingredient, honey. We use it on a daily basis as a sugar substitute for tea, for pouring on pancakes, salads, and in smoothies but did you know it is also beneficial to our health? It boosts energy levels, regulates blood sugar, can help with insomnia, assist with weight loss, and improves digestion. Packed with powerful properties, it acts as an antioxidant, antiseptic, anti-inflammatory and an antibacterial. It is also a humectant, which means it helps retain moisture. This is an important ingredient in any skincare product because of its anti-aging properties. It doesn’t stop there though. Honey is also very good for you hair. Because it is an emollient it seals in moisture reducing breakage and keeping your hair conditioned. It strengthens hair follicles, prevents scalp infections and helps with things like dandruff, eczema, and psoriasis. 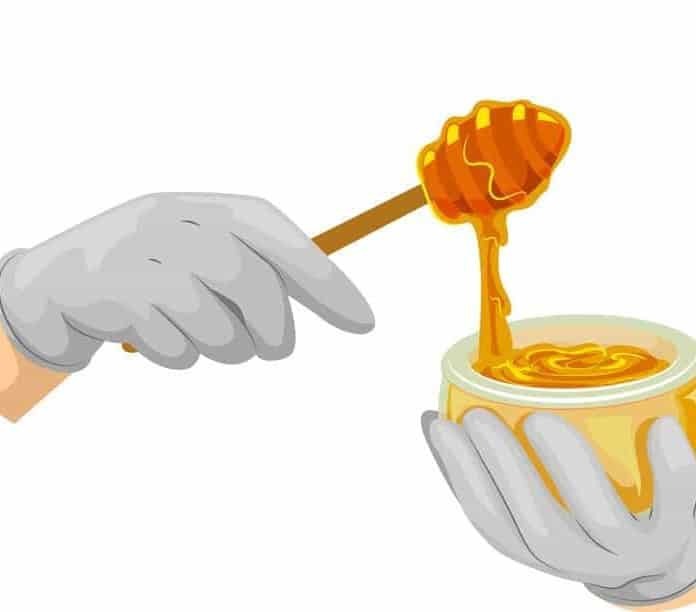 Whether you’re looking for a natural and affordable way to help skin issues, improve the condition of your hair or slow down the aging process, honey is the ‘bees knees’ when it comes to taking care of your beauty woes. A scar is a constant reminder of what we’ve been through and proof that we’re strong enough to handle whatever life throws at us. People wear them with pride and rightfully so, but it can also cause major self-esteem issues, especially if it’s somewhere everyone can see. Scars are hard to remove yet there are products on the market that claim to do this. Not only is it almost impossible to do but these creams and lotions cost a fortune. Honey increases tissue regeneration and healing while it helps revive the skin’s cells. While it might not remove the scars it certainly lightens them and minimizes their appearance. There are a number of ways to use raw honey for scars whether they’re from acne, chicken pox or other skin ailments. For scars on your face, apply a warm cloth and then rub in some raw honey. Leave for 10 minutes and then rinse off with warm water. It works by allowing the skin to renew itself. If it’s chicken pox scars, gently apply a mixture of honey and lemon juice or cucumber juice. The mixture must be warm. Adding cinnamon gives you an affordable and effective skin renewal treatment that can be used regularly. Honey can also be used to soothe inflammation around new scars and pimples. You can also treat larger scars on your body with a mixture of honey and olive oil or extra-virgin coconut oil. Simply mix amounts to make a mixture, massage it over the scarred area for one to two minutes using a circular motion. Once you’ve done this place a warm washcloth over the area and leave it there until it cools down. Wipe the area with a cotton ball. For best results repeat this twice a day.